Bring your messages to life with creative, unique and engaging film and animation productions. Video is a proven tool to help you sell to your audience and make a lasting impression. It’s a stylishly simple way to get your message across to the right people, quickly and creatively. Whether your company is big or small, we’ve got the top agency experience at freelance rates to create awesome video productions on time, on budget. We love being creative to help you stand out from the crowd. And we’re pretty nice people too. Film or animation… not sure which is right for you? Call 07734 035 539 and Tracey will help you decide. "The animation looks brilliant and is exactly what we were hoping for. Thanks very much for your hard work on this!" "Tracey at Orange Media has worked with us regularly throughout 2015 on a range of different projects, including filming and editing our Vice-Chancellor's monthly podcast message to staff. She's always brilliant to work with, and we really value her creativity and excellent standard of her finished work. We also appreciate how quickly she’s always able to turn around the editing side of the work that she does for us." "The team are professional and worked closely with us to deliver exactly what we required. 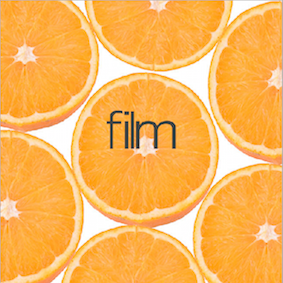 Orange Media have an exceptional ability to bring a project to life through inspirational film."